﻿Thyme Square Café is a family-owned restaurant featuring fresh, seasonal, locally-sourced products. All of our dishes are prepared in-house and feature the finest foods the Quincy area has to offer. Our chefs work hard at providing exceptional dishes by butchering, curing and smoking the local meats ﻿themselves﻿, as well as, constantly creating new menu flavors with the seasonal produce provided by the local farmers. All of our bread is made in-house using local ingredients. The Quincy area community has acknowledged the passion of the entire team at Thyme Square Café. ​Thyme Square Café was awarded 'Best New Business' in 2010, and 'Business of the Year' in 2012 by the Historic Quincy Business District. TSC was awarded Talk of the Town's 'Excellence in Customer Service' award and nominated at a national level for 'Operator of Innovation in Sustainability' by the National Restaurant Association in 2013. In 2016, 2017, & 2018 Thyme Square Café won 'Best Breakfast' by the Quincy Herald Whig's Readers Choice competition. ​Also, in 2018, Thyme Square Bakery & Café was awarded the national Torch award from the Better Business Bureau for outstanding ethical business practices and customer service and Erica was awarded the 'Top 20 under 40' award for her commitment to community involvement. 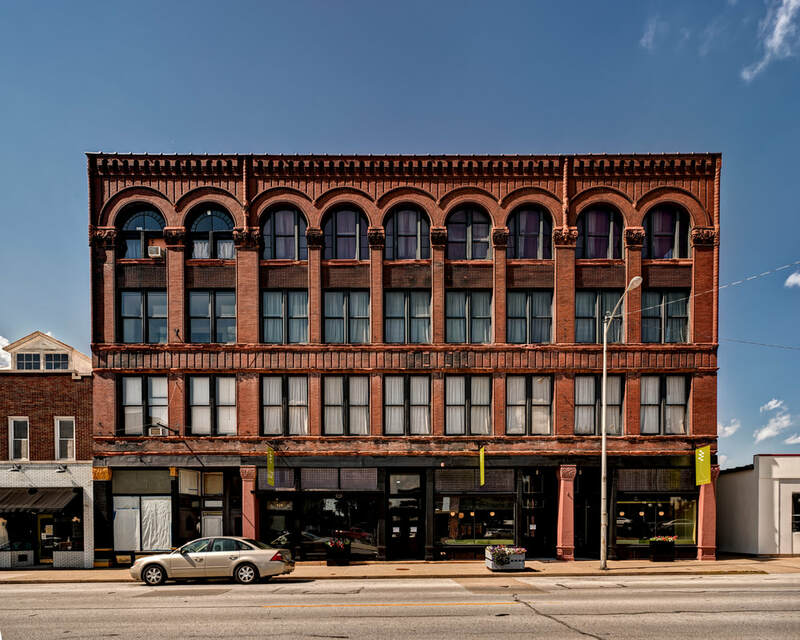 The Schott Building was designed in the Romanesque Revival style by prominent Quincy architect John Batschy in 1893. Its four floors served a variety of businesses, including the legendary Busy Bee Mercantile store from 1929 to 2004. In 2005, and then again in 2016, the building was purchased and extensive renovations undertaken. 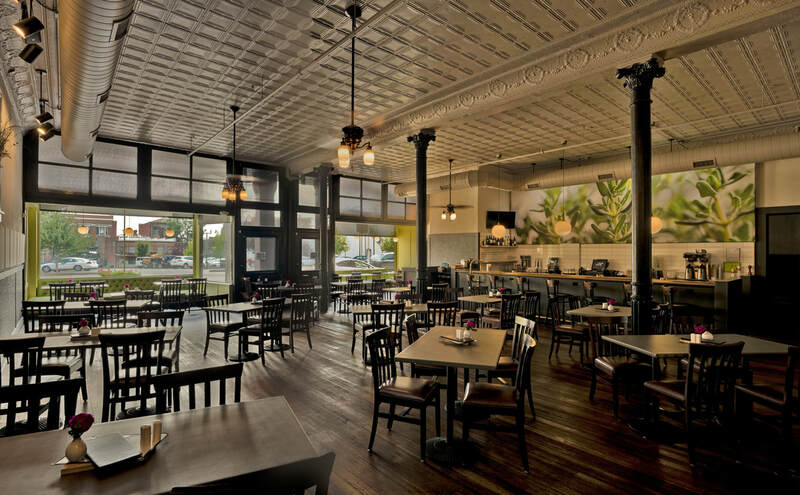 The property has won numerous awards from local preservation groups and also the State of Illinois and is the current home of Thyme Square Bakery & Cafe. 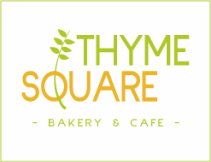 In October, 2016, Thyme Square Cafe relocated and expanded to become Thyme Square Bakery & Cafe in the historic Schott Building, a block away from their original location. The additional space has allowed Thyme Square to expand their menu to include hand-made desserts, pastries, ice cream & sorbets, craft beers & cocktails, and an authentic artisan bread bakery. Thyme Square's dedication to local foods has resulted in over $1,000,000 in income to Quincy area farms that continues to circulate throughout the community and offers diners an all-natural, hand-made alternative to over-processed food. We are extremely lucky to live in such a fruitful area of the world and ﻿we can't wait for you to taste the amazing flavors of our community's seasonal, farm-fresh food! strive to develop a business that exudes our passion in every possible way." - Thyme Square Café, Inc.
President of Thyme Square Café, Inc., Vice President of CESHUPE, LLC. Cory Shupe has worked in the restaurant industry for over 12 years. He began his culinary career right here in Quincy, at Kelly's Restaurant. Since then, he has worked for nationally renowned chefs in Bloomington, IL and St. Louis, MO. At Five Bistro in St. Louis, he was introduced to the concept of using local farmers to sustain a restaurant and keep prices low. ​Through the formation of great working relationships with local farmers, Chef Shupe has helped to bring the farm-to-table dining concept to the Quincy community. He truly embraces the house-made approach to cooking by butchering, curing and smoking all of the local meat he serves, making every bread on the menu from scratch every morning, and regularly creating new dishes with the fresh food from the area. Cory received a B.A. in fine art at Illinois State University and has repeatedly been recognized for his culinary skills in Sauce Magazine, St. Louis Post Dispatch, and the Riverfront Times. Owner of Thyme Square Café, Vice President of Thyme Square Café, Inc., President of CESHUPE, LLC. Erica Shupe has specialized in all forms of communication and service with the customer. She has worked the front-of-house as a Server, Bartender, Certified Trainer, Catering Coordinator and Manager for over 15 years. She was the Midwest Marketing Manager in charge of sales and marketing for 4 restaurants and was the sole graphic designer for multiple restaurants in downtown St. Louis, MO from 2005-2010. She currently controls all of the bookkeeping, finance, and organization of Thyme Square Café, as well as, leads and promotes quality customer care and satisfaction within the dining room. Erica received a B.A. in Graphic Design from EIU and an MA in Art Technology from ISU. ​She is actively involved in the revitalization of Downtown Quincy as the Board President of The District, Chairman of the Quincy Farmer's Market & Feast Event, member of the Quincy NEXT Community Strategic Plan Downtown/Riverfront committee, as well as, The District Branding committee, Fundraising committee, and Parking committee.